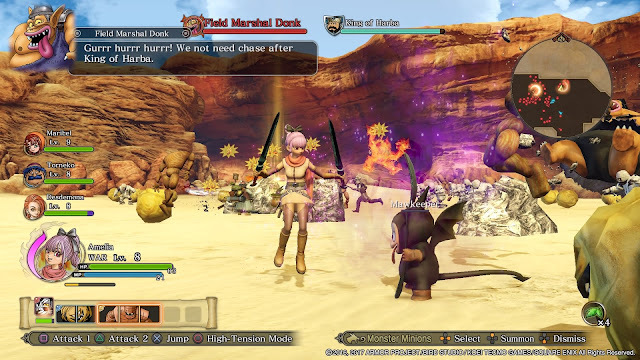 The original Dragon Quest Heroes was a delightful game, but in comparison to what Koei Tecmo and Square Enix have pulled off with this sequel, it looks more like a proof of concept than anything else. It’s genuinely incredible how the developer team has managed to take the base Warriors engine that powers Dragon Quest Heroes, and spin it in such a way that the game doesn’t really feel like a Warriors game any longer. That’s not a criticism of the Warriors games, mind you. Just a reflection of how much of an identity of its own this game has. 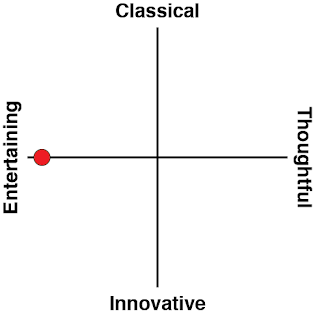 And as something distinctive and unique, it’s a consistently surprising game that I think people will get very addicted to indeed. Related reading: Matt's review of the first Dragon Quest Heroes game. 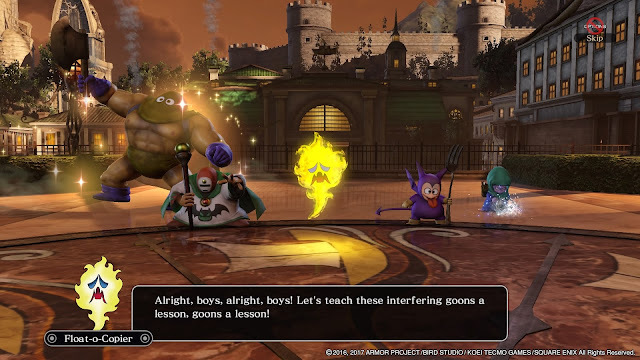 The first Dragon Quest Heroes was a fairly limited experience in terms of its gameplay loops. Broken down into a series of set piece battles, you would generally find yourself in a position where you needed to protect a particular point on the map from hordes of enemies coming in from a number of different directions. It was frantic at times, and quite strategic - especially since you were able to collect and summon monsters of your own to hold up a horde in one direction while you dealt with a different area - but over the longer term, it was a limited kind of combat system that the developers really struggled to keep fresh through to the end. Dragon Quest Heroes 2 has a far greater range. You’ll spend quite a lot of time simply exploring areas, looking for chests and the like, without even the expectation of combat at all. The game offers a far more seamless sense of worldbuilding, with a large world that you need to travel around, and seamlessly transitions between field environments and cities to explore. When you are pulled into set piece battles (to progress the story forwards), they work like multi-staged and layered battles from the Warriors games, complete with traps, surprise twists, ambushes, and special conditions to deal with. Between battles and exploration, there are also plenty of role-playing opportunities, with many missions featuring combat only at the end of an investigation, or after talking to a series of characters. 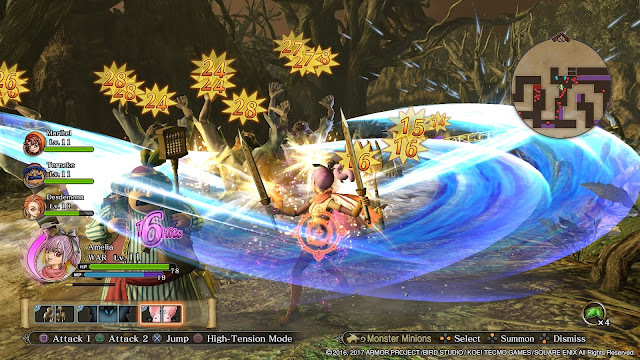 There was a time past that Koei Tecmo would never have had the confidence to give players any time in a Warriors game that didn’t involve pressing the attack button, but as the development team has matured and developed more versatile engines, the games have mellowed in turn. Now there’s plenty of time to kick back and simply enjoy the world and its weird, wonderful characters, and I do think that anyone who picks this up, having not played a Warriors game for some time, will be surprised by how nuanced the experience is. It’s gorgeous, too. The Dragon Quest series has always been known for its bright, colourful art, and the involvement of Akira Toriyama, the manga maestro also behind the Dragon Ball series, and Dragon Quest Heroes 2 really does a good job of showing off the creative genius that has powered the franchise right from its opening chapter. When dozens of enemies start to fill up the screen the game erupts into an explosion of colour and energy, and the simple lines that draw each character all give the game a unique elegance and humorous charm. Where Final Fantasy, the other “great” JRPG franchise, has aimed towards epic narratives and dark themes, Dragon Quest has always been about the bright and silly, combining “weird” and “cute” character designs with plenty of banter back and forth between those characters, and cheerful music tunes. In this regard Dragon Quest Heroes 2 is the perfect execution of that franchise’s vision; none of the characters are explored to any significant depth, but they’re all distinctive thanks to the way they participate in the banter. You’ll start the game by picking either a male of female character to be the “main” character in the plot - don’t worry, the other one joins you anyway. These two heroes live in a world that has known unending peace for centuries, until one day, a nearby nation attacks their hometown, without provocation, and the two young heroes find themselves drawn into a plot to figure out what’s going on, and why. Along the way, they will regularly meet characters from the various numbered Dragon Quest games, which will join them on their quest. Of course this plot is contrived and nonsense, and really doesn’t offer much more than an excuse to move to a point in a map and battle a boss character before a new hero will join the squad. 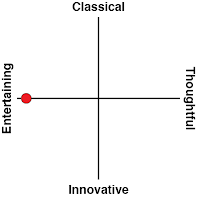 But the nonsense is pulled off with such panache that you’re not going to care. The final cast is also large and filled with all your favourite characters, each of which has a different skill tree and fighting style, so that when, about the midway mark, the game starts to lose its narrative momentum and become unapologetic about being a grind, the grind itself will always remain entertaining. Your main character, meanwhile, can choose between a large number of different combat styles. Each combat role starts out at level 1, so if you want to switch roles you’ll need to grind up a lot of experience before being able to get on with the main narrative again, but, again, this is a joy to actually do, because the combat is so entertaining, and experience levels come thick and fast. There’s plenty of side quests that you’ll be able to do to give that grinding context, too, which is a good way to encourage you to experiment around with different combat styles in order to find a favourite. Once you’re comfortable with your favourite combat style, the online play will start to beckon, and it’s really addictive stuff in its own right. In single player, you’re put in control of a party of four heroes, and while you can swap between them at will, the AI controlling the other three is functional, but largely uninspired. Jumping online and playing with other human players is a far better way to tackle the game’s missions, and while the teamwork involved isn’t as complex as you might find in an MMO, Dark Souls, or Monster Hunter-like game, there’s a definite sense of camaraderie with your team as you tackle the giant, colourful, tough blob monster bosses. There are brief moments where the 'gameplay' will throw in an irritation or two. When the battlefield is absolutely packed, and features large enemies, the camera struggles to remain in a spot where you can easily follow along with what your character is doing. I’m also not a huge fan of the ability to turn into large characters. After defeating certain big enemies you’ll get a “coin” that you can use to briefly turn into that enemy and use its abilities on your opponent. The problem is that these drops are random, but are often quite essential for beating boss characters without being seriously overlevelled first. There were times I didn’t get the coins I wanted, and since it is impossible to save coins between battles, I found myself in unnecessarily difficult scenarios when I really should have been able to put myself at a strategic advantage instead. Hordes of enemies also have a habit of hitting you with multiple status effects too. I appreciate that giving one enemy the ability to poison, and another the ability to put my character in an uncontrollable dance, makes for a difficult encounter. Giving hordes of enemies the ability to mix these effects together is amusing the first time (my character’s little dance is superb), but there are moments where the pileup can be a little too excessive. But I could never stay frustrated at Dragon Quest Heroes 2, because it’s all so completely charming that immediately after swearing for a few seconds, I was good to go again. I would like to see Koei Tecmo and Square Enix collaborate on more of these kinds of games down the track. 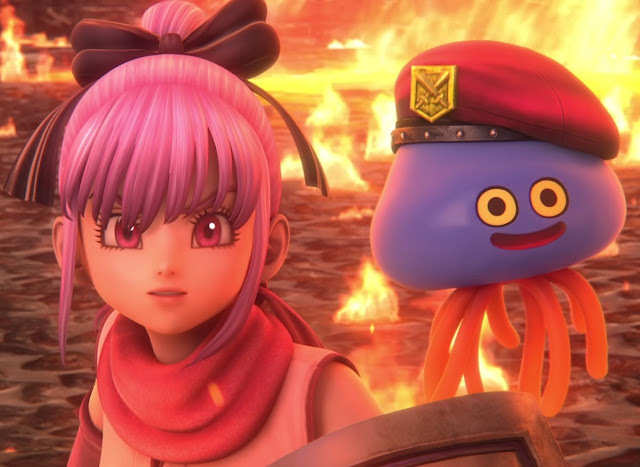 Dragon Quest Heroes 2 is undeniable proof that the mix between a genuine JRPG and Warriors game works, and now it’s time for a Final Fantasy Heroes, methinks.